Very effective for my older dogs. I used this product for my 16, 14 and 13 year old dogs. At first I seemed to see great improvements but the second week the results have decreased. Half way to the product’s use, the dog’s mobility has kept improving. A dog is very old and jumped with joy, ; the 14 yearsl old who often had a limp did not have it anymore after taking the product. I recommend it and I will reorder it. I'm using it on two of my dogs. Border, who is 6-year-old has got joint pain at his anterior paw due to a slight reduction in cartilage. The dog is doing much better and the limping did not occur again. The 14-year-old German Shepherd with back arthrosis has taken it along with natural anti-inflammatory drugs and cortisone therapy. Great improvement . He started wanting to go out again. If you want more detailed information about this product, please search over the web for the manufacturers official page by inserting "Natural Wonder Pets Joint Double Power Pack" or contact our customer service. You get a generous 118 ml no alcohol tincture of Primalix Arthridia Natural Pain Relief Formula and you get a whopping 473 ml bottle of FlexaSure. Each Arthritis Double Power Pack provides a generous 48 day supply for an average (10,5 a 20 kg) dog. I have an 11-year-old dog with dysplasia and arthrosis. He has been taking the power pack for more than a year and in my opinion the 2 products are excellent and since he is taking them the dog is more energetic an willing to play. I bought the Power Pack Joints about three months ago and was amazed to see my English Setter of 14 years run. It was more like a gallop than a real run but it's amazing considering that before the treatment she was always lying down and would get up just to eat or drink! Honestly, I did not think it could be this effective. Now it is finished but I will reorder it as soon as it becomes avaliable again. Great ! My little dog Charlie has started climbing the stairs and be more lively. Please check instructions and ingredients in this page. Že teden dni je moj pes brez tega proizvoda in žal že opazno bolj šepa tako, da bom proizvod ponovno naročila. I order this product for my Golden retriver Gala and I have to say that it has had improvements in both the mobility and her personality. She started playing again and she has less pain. I am very satisfied and will continue with the treatment. Thanks from me and Gala. A bit unconfortable because it is liquid and Ercole has a hard time taking it. He started taking it on February 2nd 2017. Ercole was limping quite noticeably and did not feel like moving. He is usually very active. We went running at the stramilano on sunday and he was able to run slowly 10km . Very effective product. It appears that his leg pain have gone. Great product and the results are evident. 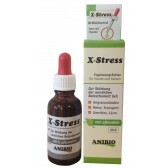 The product is extremely effective and has got a good value. Before my Maya started using the Power Pack she could no longer lean on her back. Since she took the products she is doing much better, walks well on her 4 paws. I could not be more satisfied with this. In addition, they are natural ingredients that do not go cause any other imbalance or create gastric or renal problems. The only product (combination) for my dog's problems. I keep ordering since 6 months and my dog is doing much better.